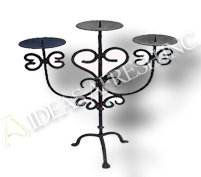 Candle Holder: Lovely, lacy scrolls of ironwork recall the timeless elegance in this candle holder made with wrought iron. 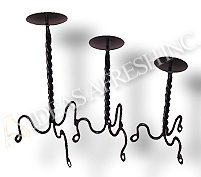 Candle Holder: Swirling arms with an unconventional harmony, this iron candle holder can hold five candles at a time. 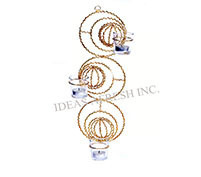 When it comes to Candle Holder design and creativity, these candle holders are matchless. 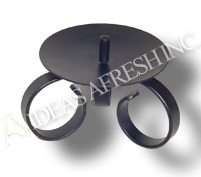 Candle Holder: Simple yet very classy, this candle holder made with wrought iron can hold candlestick firmly. 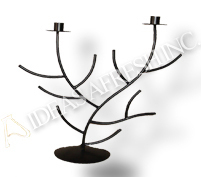 Candle Holder: Stylish wrought iron candle holder is beautifully designed with utmost care by our artisans. 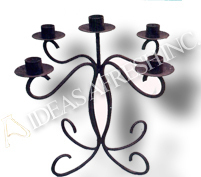 Candle Holders : This set of three elegant iron candle holders features twisted stand with uniquely designed legs. 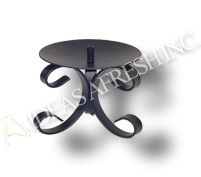 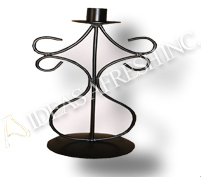 Swirl design wrought iron Candlestick Holder can accentuate the beauty of any home, office or bar.